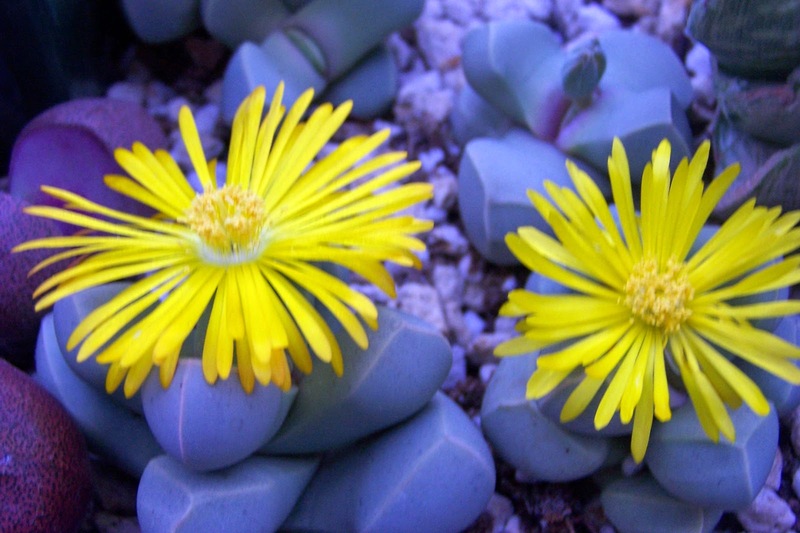 I was out in the greenhouse today with my camera at hand and I just had to share this image of Lithops dorotheae in flower. Such an amazing plant. We've been having some nasty weather over the last few days - heavy rains and gusty winds, but it's calmed down now, and the heavy rains appear to be over. But along with that, the night-time temperatures are dropping down into the low 40s F (about 4.5 C), which means we'll have to start heating the greenhouses. Enjoy your plants! Another beauty that doesn't take up a lot of space in your collection but provides rewards larger than its size. Another very small-growing echeveria jewel. A very nice small-growing haworthia, grown from seed from Towsberg, South Africa. As far as I'm concerned this is one of the most outstanding Aloe cultivars produced in recent years. Wow! For those who are interested, my wife Lynn-Marie's art works are now represented by Xanadu Gallery out of Scottsdale, Arizona. 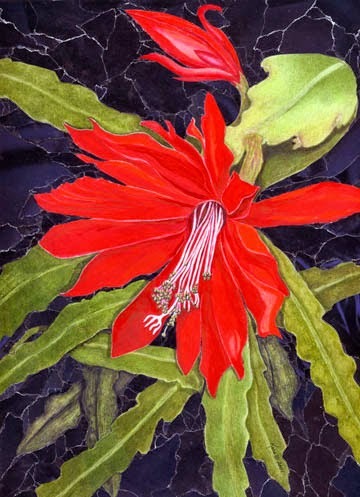 You can see a continually changing collection of her works at their website: http://www.xanadugallery.com/2013/Artists/ArtistPage.php?ArtistID=5729. You can copy and paste this url address in your browser or use the link above. 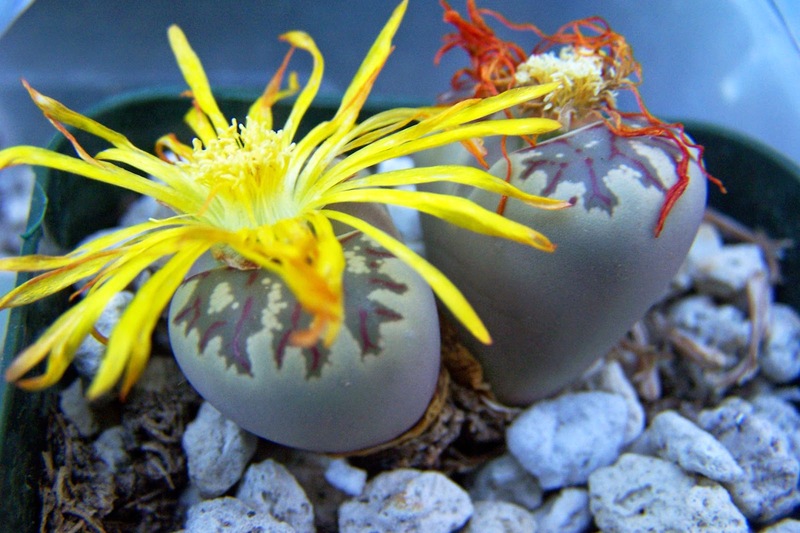 It was a little late in the day when Lynn-Marie took these photos...Lapidaria margaretae and Lithops dorotheae. Our weather is quite dry and warm for this time of year - 80 Fahrenheit for several days in a row, and the nights are in the mid 50s. For those of you in the Portland area and are interested, most of you know that - other than succulent plants - my other vocation has been as a United Methodist clergy - now retired. However, I'm still asked to preach on occasion, and this coming Sunday (Oct. 5) I'll be preaching at Northminster Presbyterian Church in North Portland (10:00 a.m.). You're more than welcome to come and visit.